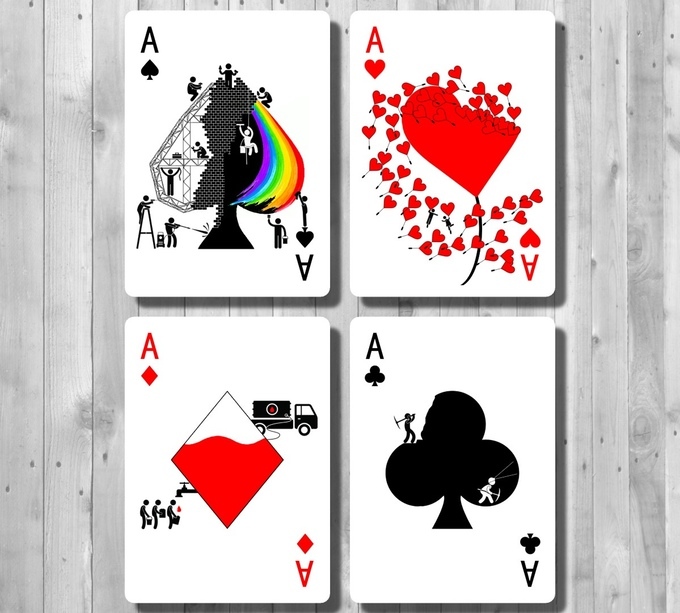 Ben Jones (Elephant Playing Cards) created a few months ago the Prism Night deck, the first one printed by the LPCC with a glossy technology. 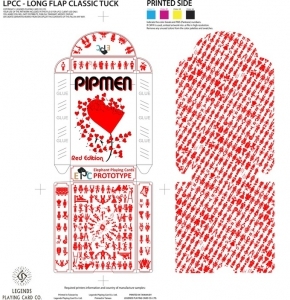 After the successful funding, Ben launches a completely new and different project: PIPMEN. 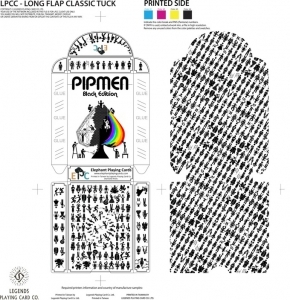 Inspired by stickmen, those classic puppets we draw since we are children, Ben has created the pipmen, joining the concepts of the stickmen and the pips of the poker cards. 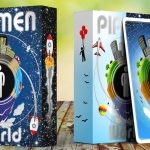 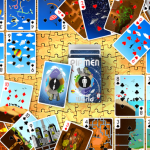 With this idea, he has done a creative transformation deck where each card is a funny scene in which those small men interact with the pips of the card that are part of their own world becoming “everyday” items . 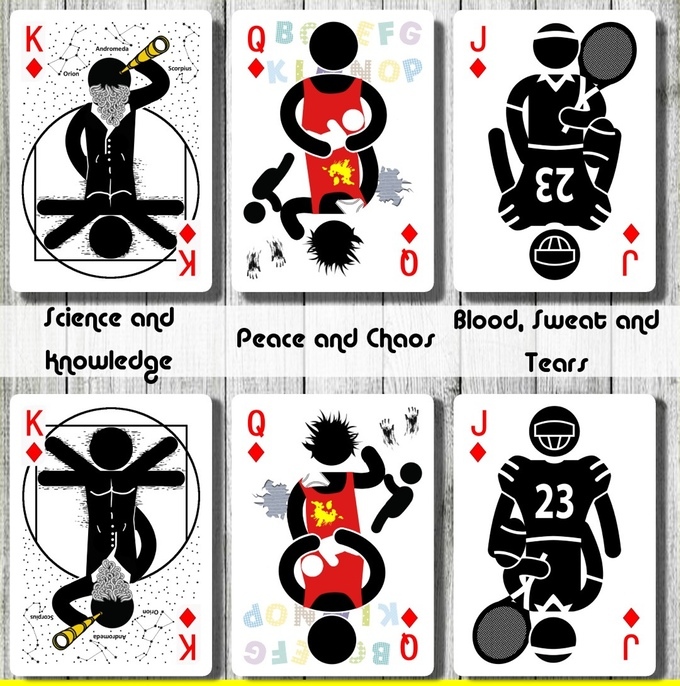 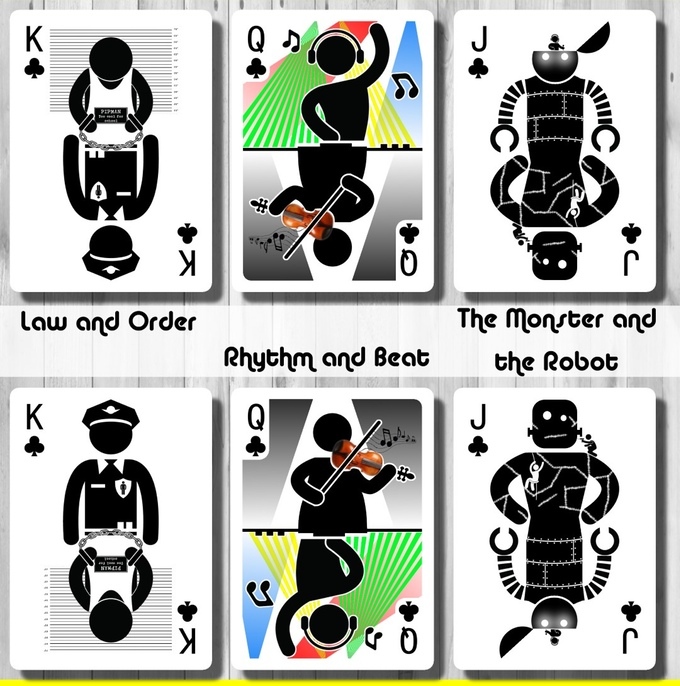 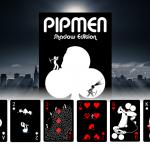 While numbered cards show pipmen in different (and hilarious) situations, the court cards are a curious reinterpretation of the traditional ones, featuring different characters, each one with their own personality, in curious asymmetrical poses. 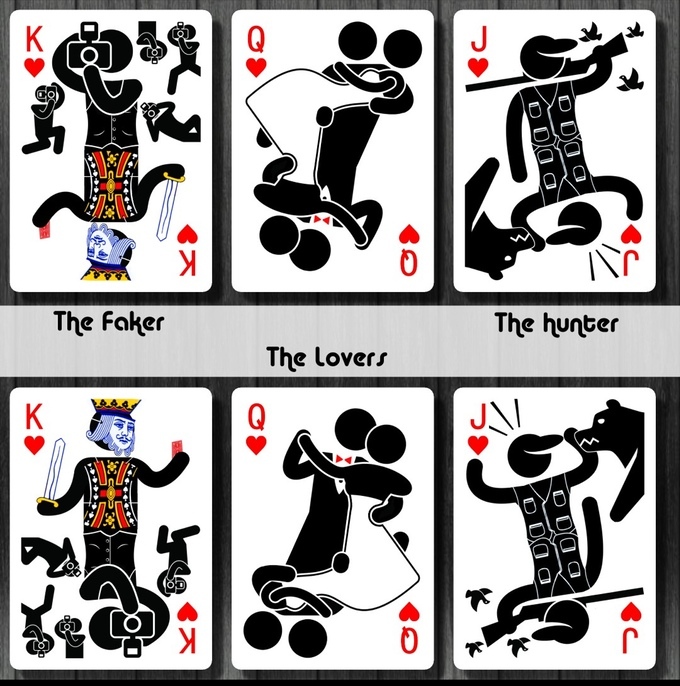 The jokers are also unique and fun. 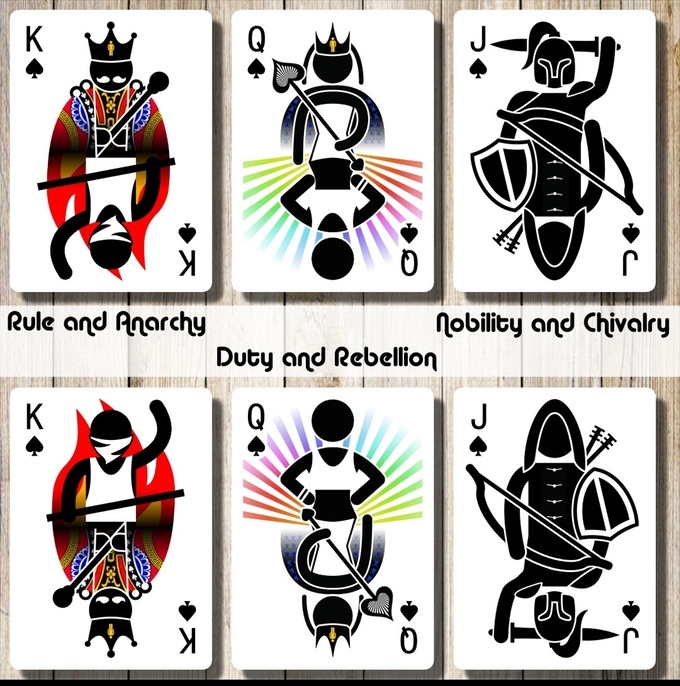 No doubt this is a bet by a different, original and fresh deck that will not only add fun to the poker nights with friends, but will also entertain all who can enjoy every one of the cards. 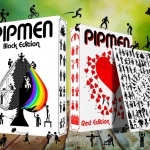 The deck will be printed by LPCC and the project includes several stretch-goal features like inner printing on tuck cases, embossing, numbered seals or a twin deck, the red one, that will have the back in red and two different jokers.